During the 3rd T20 match between Australia and Pakistan in Dubai on 28th October, Sunday. 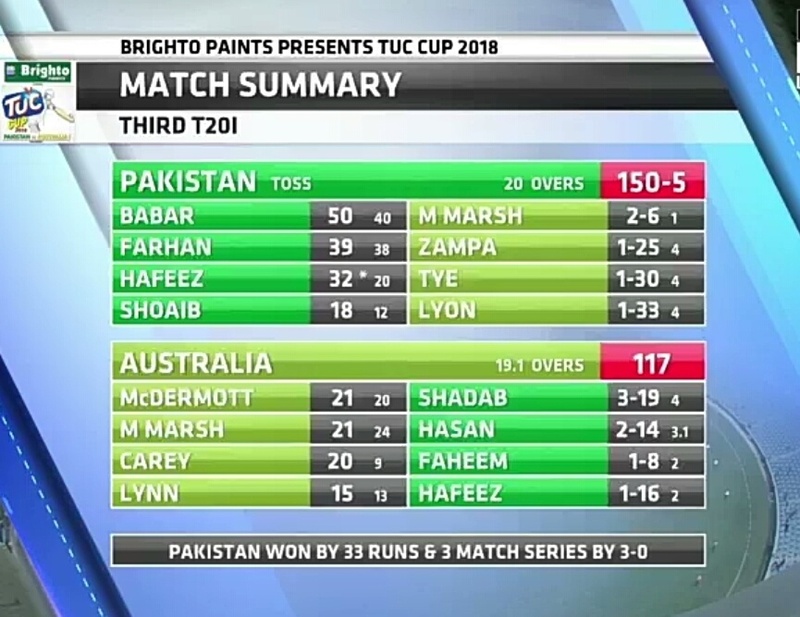 The mighty Pakistani team was too good in all the departments for Young Australian team, has they lost the match by 33 runs and also the series by 3-0. Batting first, Pakistan scored 150 runs for the loss of 5 wicket in the 20 overs, thanks to Babar Azam's 50 runs and Shadab Khan's 4/19 which helped Pakistan to white wash Australia for the first time in T20 cricket. 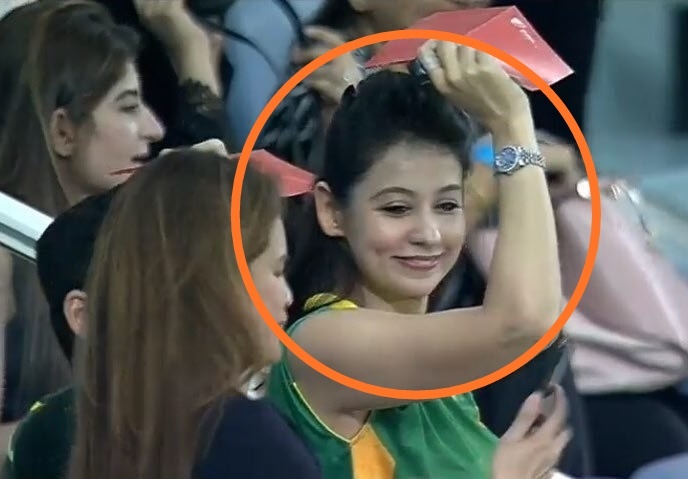 Meanwhile, A Pakistani girl who was very viral in the Asia Cup, during India-Pakistan matches was once again spotted in this match and she was seen cheering for Pakistan and went viral again. 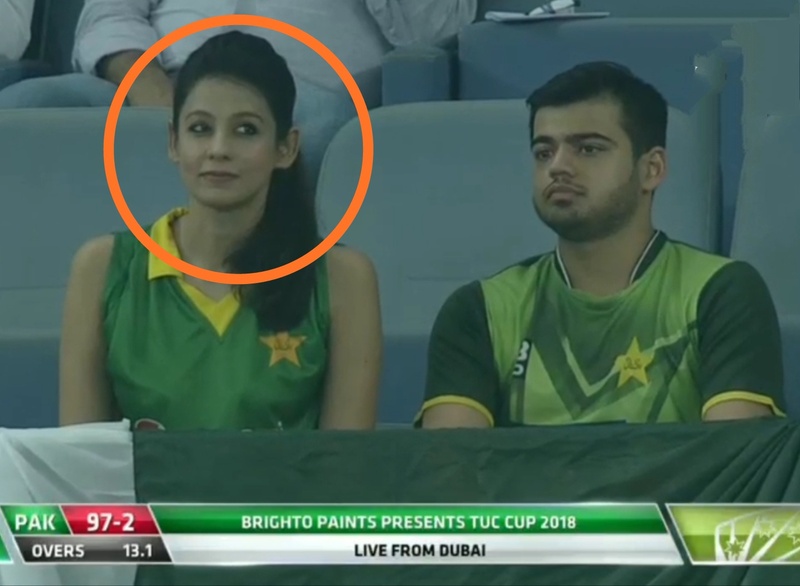 This girls name is Rizla Rehan, she was precisely focused by the cameraman first she was spotted whne Babar Azam lost his wickets and for 50 runs and later she was constantly show in big screen during the winning moment. Who is this beautiful lady with a kid ? Apart from Rizla, This hijabi lady with a kid was focused again and again by the cameraman. 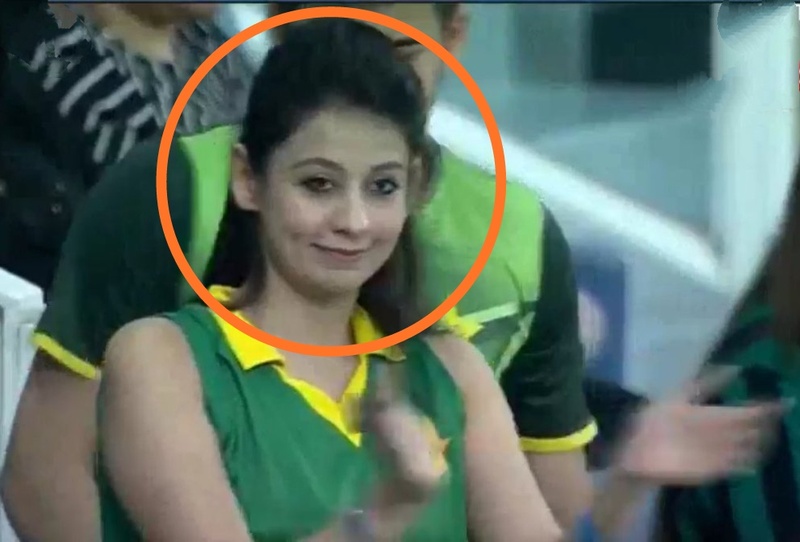 You may be surprised to know, she his none other than the wife of Pakistan Captain Sarfraz Ahmed. Her name his Syeda Khushbaht, both Sarfraz and Syeda got married 3 years back in 2015 and has a cute little son Abdullah. Syeda usually come to the ground to support Sarfraz and the Team.